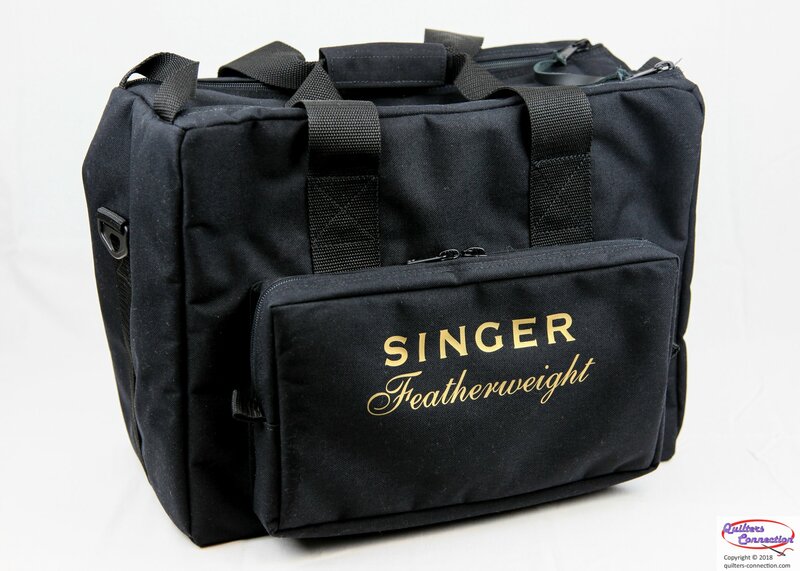 By popular demand we now offer the Singer logo and "Featherweight" script as a beautiful way to customize your carry case! This durable heat transfer is available in either rich Gold, or Black to match the hardware on the case. Simply order the carry case, then separately order the logo in the color of your choice. And remember, shipping is free for orders of $ 149.99 or more, so adding the logos to your carry case saves you $ 12.95 in shipping! You can also add custom embroidery as another option to really personalize your case!